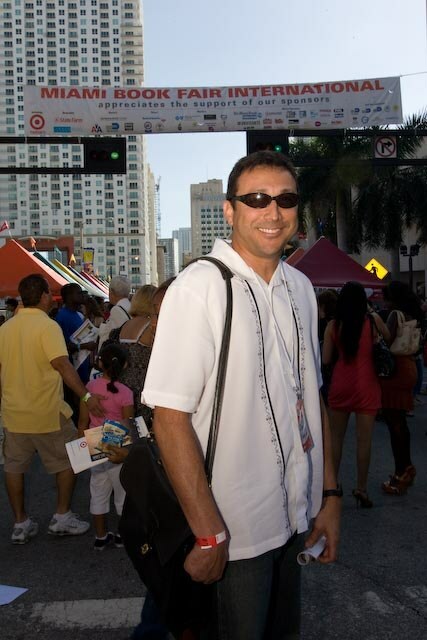 Meet crime-fiction writer Ian Vasquez of Belize. 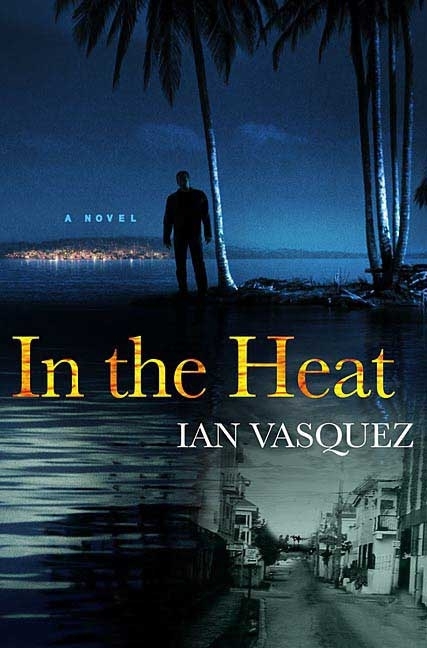 A copy editor for the St. Petersburg Times in Florida, Vasquez was recently honored with the 2009 Shamus award by the Private Eye Writers of America (PWA) for his first novel In the Heat. The PWA is an organization of mystery writers, publishing professionals and crime-fiction fans. It was created to recognize the private eye genre and its writers, and is best known for its annual Shamus Awards. Vasquez’s winning novel In the Heat is set in Belize and tells the story of former boxer, Miles Young who, in order to get his chance at one last big fight, accepts the job of finding a missing 17-year-old girl. In a review of In the Heat for the Times, William McKeen compared Vasquez with Florida crime-fiction icon John D. MacDonald. Vasquez’s second novel, Lonesome Point, was published this year. It’s a tale of two feuding brothers, set in Belize, Miami and Central Florida. He has finished his third novel, Mr. Hooligan, which is also set in Belize and is due to be published in 2010. It says a lot about Vasquez’s literary talent that he has been recognized by a grouping of his peers fairly early in his career. Winning the Shamus Award places him in the hallowed ranks of writers like Dennis Lehane, Walter Mosley, Rick Riordan and John Connolly, all former Shamus winners. Crime-fiction circles in the US are abuzz with news of the genre’s newest rising star, and in the past year Vasquez has been busy on the book-tour circuit. Amazon has made In the Heat available in print and on the Kindle e-reader. Vasquez’s books represent a departure from the literary-fiction genre which has long characterized Caribbean literature. He takes his place among a growing cadre of writers from the region boldly exploring new frontiers in writing and breaking out from the traditionalistic mode. Others include Jamaican-born, multi-award-winning science-fiction writer Nalo Hopkinson, Grenadian science-fiction writer Tobias Buckell, new Dominican crime writer Christborne Shillingford, author of Most Wanted and Macmillan Island Fiction’s budding stable of fantasy/science-fiction writers. For sure, Caribbean literature stands upon the foundations of literary fiction and poetry in their myriad forms and structures. From this creative word-clay scores of literary luminaries have arisen to take their place on the world stage – winning for themselves and for the Caribbean, international acclaim and recognition. Writers like Vasquez find themselves in a similar place; poised on the cusp of a new dawn of literary and publishing opportunities with the opportunity to prove to the world the versatility and creative potential of Caribbean writers. I had the pleasure of interviewing Vasquez on his literary accomplishments and his success in capturing the Shamus Best 1st Novel Award, as well as his views on the writing life. Growing up in Belize, what inspired you to take up writing and how did your homeland shape you as writer? Vasquez: I didn’t seriously consider writing until I’d left Belize to attend college in the States, when I was eighteen. I grew up in a house full of books – all kinds, especially the commercial fiction that my parents loved – and my sisters were avid readers of romance novels, but like a lot of boys of my generation I didn’t read that much. I was a pretty good reader, mind, just not a very frequent one. So I guess, growing up in Belize didn’t consciously affect my development as a writer of fiction, but, as I’ve come to realize, my childhood experiences in the colorful, frustrating, diverse and endlessly interesting Belize City of my youth had a tremendous effect on my worldview and my storytelling. Consider that we didn’t have television in Belize — and pirated TV, at that – until the early ’80s, so we spent a lot of time just talking. Telling stories, roaming. As kids we had so much freedom. There weren’t many of these stultifying regulations too many kids have today, especially kids here in the States, where everything is organized into leagues and playgroups and all that. Those things serve a function, sure, but we had ample opportunity to roam – ride our bikes all over the city, swim in the sea, steal mangos or guavas or plums from people’s trees, generally get up to a lot of mischief while discovering ourselves and trying to place our spot in the world. Perhaps, I’m romanticizing a bit, but in my first stories, guess what I wrote about? My youth, all those heartbreaks and surprises and shockers that I was a part of or that I witnessed growing up with one foot in the dirt streets of a third-world country. It’s sort of a humbling experience to grow up well-educated and relatively smart in a poor place where we couldn’t depend on simple things that we take for granted now, like electricity. I can’t tell you how many hot nights I did homework by the light of a kerosene lamp, with coils burning nearby to ward off the mosquitoes that sneaked through the window screens. Too me, that was real living, a sensory experience, and now that I look back on it, those moments inform my stories to this day. Did you gravitate naturally towards crime and detective fiction or was it a calculated decision to take up this genre? Vasquez: I remember the first piece of crime fiction that I wrote. It was actually a prose poem for a college class. It was a long, visual piece with a good deal of threat and lust for blood. I thought it was pretty good, and after I finished reading it aloud I looked up for a reaction. “Hmm,” the instructor said. “So violent.” Then everybody weighed in. The consensus was yes, it was good, but way too violent. What was curious was that the poem had no physical violence in the fictional present, just a young man in a hospital bed dreaming of committing an act of violence against the man who sent him there. The young man was disturbed by what he was feeling, and was trying to come to terms with it. It was all about inner conflict. Still, some people were put off by it. It was a poetry class, so some students didn’t expect that sort of thing. For years afterward, I wrote fiction that was more literary and always shied away from the gritty stuff or descriptions of violence. It took me several years of reading lots of literary fiction – everybody from Henry James to William Faulkner to Philip Roth – to understand that I needed to describe the world that I knew, the characters and situations that were real to me. And in language that sounded real, sounded like the language that we use everyday, not the literary stuff. And I wanted some sense of adventure in what I read and wrote. The genre that most allows for all this is crime fiction. I prefer to think of it as realistic fiction. I’ve heard it described as “the people’s fiction.” My move into the genre grew out of my impatience with literary fiction, but it was glacial. It happened naturally, but slowly. What do your fans tell you they like most about your books? Vasquez: The immediacy. No doubt about it. I often hear, “I felt like I was right there.” That’s pretty satisfying, to hear that. After all, that’s one of the goals of storytelling, to let readers see what you see. Imagine that you’re walking the street and you witness a horrific crash. Later, when you get home you tell your wife all about it because you want her to see exactly what you saw, and you tell the story with enough details – tires screeching, metal crunching, people moaning – that she not only sees but hopefully feels the shock you felt. People share experiences all the time, just about everyday, so I try to keep that in mind when I write. I want to share my imaginary experience so that it feels real. I try to tell a good story without letting the words get in the way. Reviewers have praised your plotting and storytelling skills. From your experience, what makes for a good crime/mystery novel? Vasquez: Movement and character. A good crime novel must not be slow but must be plausible. Reading a crime novel is about escape and adventure, about intelligent entertainment. The reader’s escape and adventure shouldn’t be inhibited by a snail’s pace of a plot. At the same time, a good crime novel should be about character. In good drama, plot rises out of character. Character is revealed through action and dialogue which then set the plot in motion. Realistic characters ground stories in reality and brisk, plausible plots keep readers committed to stories. Plausibility comes from a strong link between cause and effect. Readers shouldn’t be puzzled by characters’ motivations; their actions should make sense and should move the plot forward. And all these things, of course, are related. You’ve worked at a psychiatric facility and counselled at-risk high school students. How much of that experience is reflected in your stories and characters? Vasquez: My last novel, Lonesome Point, was based on some of my experiences working on a psych ward. But other than that I haven’t drawn directly from my past jobs. Now, the people I met at these jobs – well, they’ll always be part of my imaginary world and will probably be in and out of my stories in some form or another, even if the settings are not related to those jobs. They were just interesting people, with interesting stories. How did it feel to win the Shamus Award? Vasquez: It was completely unexpected. And fantastic and encouraging. I especially like that it’s a peer award, that you’ve been recognized by other writers. Writers know how challenging novels can be, and writers tend to be critical readers. So to be given a nod by other writers makes you think that, hey, you’re doing something right. To what extent has your migration to the US influenced your writing? Vasquez: I’ve lived in the States longer than I lived Belize. So while Belize is my roots, I’m very much an American. I vote, pay taxes, understand American culture and contribute to it through my books and my work at the St. Petersburg Times. But I always have the sense that, yes, I am from somewhere else as well. My Caribbean experience gives me a certain distance from the States. I recognize the same attitude in people who’ve travelled a lot or have lived elsewhere, and I think it’s a healthy thing. It fosters a kind of broadmindedness. For a writer, that’s always a good thing. You have more experiences to draw on, and maybe you have an easier time relating to other cultures. Do you think moving to the US increased your chances of getting published? Vasquez: Oh yes. Getting published is an uphill struggle regardless, but the education I’ve received here and the standards of writing can’t be matched in Belize. I once told a college journalism teacher that I was thinking of moving back to Belize right after I graduated. He made a face and said, “Listen, you need to stay up here and work and learn from the bigger boys.” And, man, I was deeply offended, I took his reply as one of those uninformed, condescending Ugly American comments. What did he know about Belize? But he was right, of course. I had a lot to learn, and I’m still learning. Belize gave me a beautiful childhood, but it may not be the best place for educating a writer. Right now, and maybe one of your readers will be able to correct me on this — there is not one bookstore in Belize City, and I’m talking about a store that’s dedicated to the sale of books. Sure, you’ll find a few books, especially mass market paperbacks, in some stores, but the selection is paltry. One day, I hope to go back and run a workshop of some kind for aspiring writers. And my dream is to own a bookstore of some kind there, a kind of coffee shop/bookstore that sells new and used books, magazines, international newspapers. A place where people can gather, read, hang out, enjoy some semblance of literary culture in a relaxed, unassuming environment. From your website I noted that you encourage readers to support their local independent bookstores. Why do you feel the need to do that? Vasquez: Independent bookstores provide a more personal experience than the chains ever could. I’ve found that the owners and employees of independent stores tend to be knowledgeable about books and writers and the industry in general. That’s not always the case with the chains. The experience you get at the independents is more personal, and owners are more willing to work with new authors. I love any bookstore, but there is a sameness with chains that I think runs exactly counter to the free spirit of many of the writers and thinkers whose books line the shelves. During the years that you dreamed of becoming a writer, did you get much moral support and encouragement? Vasquez: I wasn’t in the practice of telling people that I was writing or wanted to become a published writer. Friends and family knew, and they were the ones who gave me the support. When other people did find out, the response invariably was something like, “Oh… well, good luck,” and because some of them didn’t know much about how the industry works, they’d assume that because you hadn’t been published yet, you must not be very good. These, unfortunately, are the same kinds of people who think that if a book is a bestseller then it must be good. In short, I got the moral support from the people closest to me. How important, do you think, is a nurturing environment for aspiring writers? Vasquez: It’s a tough question to answer, because I’ve found that I needed the apprenticeship that grad school provided (I have an MFA in creative writing), but at the same time, I reached a point where I needed to pull away from socializing with other writers, from talking shop and attending book fairs and readings, and just focus on my own writing, on reading the books that moved me, and writing, writing, writing. So perhaps in the beginning that nurturing environment is important, but it’s just as important that the writer find his own voice away from the critical influence of others. Do you plan a book tour in the Caribbean? Vasquez: I would love to, but time and money won’t allow for it. If the time comes that I start to make my living solely from my books, then a tour in the Caribbean would be on my radar. What do you see as the strength and weakness of Caribbean literature? Vasquez: This could be a long one, but let me limit it by saying simply that Caribbean lit needs to be more diverse. We need a Caribbean lit that’s not only an illumination of Caribbean culture, history, racism, classism or its people, but also stories can do that while entertaining; stories that entertain, as I’ve said before, intelligently. Caribbean lit isn’t very big on plot, and maybe that’s not a weakness, but it’s certainly a lack. The strengths of Caribbean lit are voice and atmosphere. Pick up any book by writers like VS Naipaul, Jamaica Kincaid and Edwidge Danticat and those qualities shine right through. Can you envisage a time in the Caribbean when other genres besides literary fiction (e.g. crime, romance, and science fiction) will thrive, featuring stories rooted in the islands and in the Caribbean experience? Do you think they would appeal to Caribbean readers and, equally important, to non-Caribbean readers outside of the region? Vasquez: I certainly hope that time comes. I mean, think about it, why shouldn’t there be more genres rooted in the Caribbean experience? And if there were more genres, the market for Caribbean authors would expand. Consider that the market for mainstream or literary fiction is pretty small. We need more writers that know how or want to tell stories for people who read mainly for pleasure, not mainly for an education. If an education about the Caribbean experience happens along the way in a thrilling story, then all the better. Do you find the Internet to be an effective marketing tool? Vasquez: It can be, and it’s free, but it’s hard for me right now to measure how effective it is as I’m still climbing that learning curve. With web sites and blogs and Twitter out there, a writer’s options are many, but the challenge is identifying and reaching your target audience. I do know that an Internet presence is a must. How involved should writers be in promoting their work? Vasquez: Writers, like many artists, aren’t the best marketers. We are better observers and some of us are absolutely too shy or private, but I think writers need to be very involved in promoting their work. I struggle with this myself. How do I promote my books without seeming to be promoting myself? How much time should I invest in promoting? I appreciate my readers and love chatting with them, but I also want the books to be about the stories, and not about me. In my stories, I try to be invisible, so how personal should I be when promoting the books? These are questions that I’m figuring out for myself right now. Promotion is necessary if you want to have any sustained career in this biz, but I think that the art of intrigue goes a long way. I want readers to be comfortable with me, but I also need to maintain a low-profile as I go about my daily life, observing people, imagining and writing. Who are some of your favourite writers and what books and movies had the greatest influence on you? Vasquez: I like different writers for different reasons, so I can’t say that I have favorites. But writers who have influenced me the most are Ernest Hemingway and Elmore Leonard. My favorite books, and next year this list might be different, are Catcher in the Rye by JD Salinger, To Kill a Mockingbird by Harper Lee, One Hundred Years of Solitude by Gabriel Garcia Marquez, Clockers by Richard Price and Hemingway’s A Farewell to Arms.